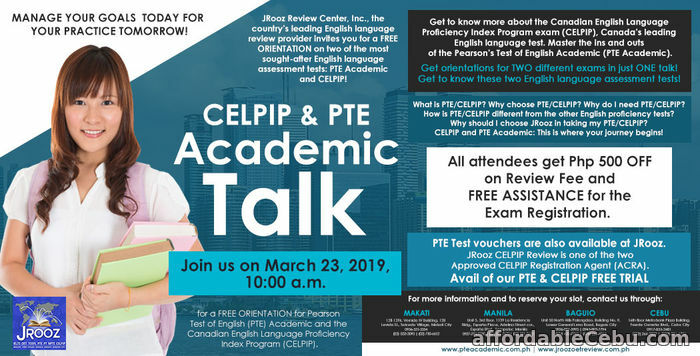 CELPIP and PTE Academic: This is where your journey begins! All attendees get Php 500 OFF on Review Fee and FREE ASSISTANCE for the Exam Regisration. PTE Test vouchers are also available at JROOZ.